First to come with Mango on board? 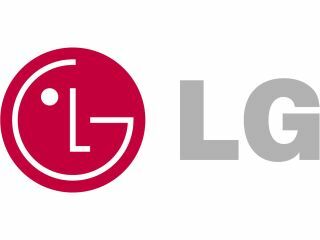 LG E700 - new Windows Phone 7 handset coming this summer? Details of an upcoming LG Windows Phone 7 handset have emerged, with a tantalising hint that the LG E700 could be the first handset to be released with the Mango software update on board. You wait all year for a Windows Phone 7 hardware leak and then two come along at once. But we're not complaining, given that the LG E700 offers some more interesting information than the HTC Mazaa we saw earlier today, including the possibility of a summer release. This leak doesn't come with any nice sharp pictures, but it does offer some lines of code taken from a GSM submission, offering a few revelations. The first is the product name, listed as the LG E700, although we're hoping for a snazzy Optimus style name for the retail release. Next up is screen display, specified as 480x800 – not exactly big news, given that it's the standard Windows Phone 7 WVGA specification. The real news, however, is the browser which is named as Microsoft Internet Explorer 9. We're expecting to see mobile-flavoured IE9 hit existing Windows Phone 7 handsets in the Mango update, which suggests to us that the LG E700 could be one of the first handsets released with the Mango update already on board. With Mango potentially set for release this summer, it's not out of the realms of possibility that we'll see the next wave of handsets out at around the same time.